Sometimes we set our budget to fit the task, and not the other way round. Your budget should be set first, and you should only pay what you can afford to get a task completed. With removals it is not always that easy. Since you last moved you will likely have gathered even more belongings, enough to fill two houses. You couldn’t fit it all in a bus, and how can you afford one of those? 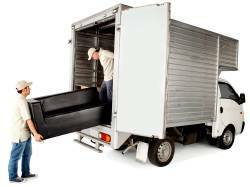 Shepherds Bush Removals’s Shepherds Bush man with a van service could be perfect for you. It is a cost effective way to get your belongings from A to B. Yes, you have to get stuck in, but you aren’t going at it alone. Our removal expert is there to help, and can be booked now on 020 3743 9582. In today’s modern world the man with a van has become an essential tool in helping families to move house. If you are looking for a W12 relocation service or a W11 home move on a budget, then give Shepherds Bush Removals a call on 020 3743 9582. Utilising a full relocation service can be expensive. A large vehicle, a number of home removal experts, the cost of having it all done for you soon adds up. On the flip side doing it all yourself can be stressful and exhausting. Every aspect of the removal needs to be thought out and planned, and to cap it all off you need to book a van, insurance, and carry out all the heavy lifting yourself. Our man with a van is a happy medium, and comes at a price more comparable with hiring your own van than employing a full removal service. So what are you getting for your money? Not just any van, but a well maintained and regularly serviced commercial vehicle that is perfect for your needs. Before booking our Shepherds Bush man and van we will assess what size van you need, and then send something slightly bigger, just in case. Better too much room than too little. All our vans are comprehensively insured, giving you peace of mind. Wait for it; not just any man. A removals expert. A friendly and sociable person with years of removals experience. He or she will be your guardian angel for the move, helping you to lift your items from your old house and into your new home, packing the van in a careful manner, driving your belongings to your new abode and helping unload on the other side. They will even give advice on the easiest and most efficient ways to proceed, nurtured over years of removals. Suddenly all that lifting, driving and unpacking you were facing when hiring your own van just got halved. If you want to cut that fraction down even further, we can send extra helping hands at a low price, you just need to ask. Our W12 Man and Van and W11 Man with a van services are specifically designed to help you share your load. The first step to booking this happy helper and his vehicle is to give one of our team a call on 020 3743 9582. They will assess exactly what you need and when. They will ask what you will be transporting, and exactly how much in order to provide you with a free, no-obligations quote for the service. This quote aims to be competitive and is aimed to make Shepherds Bush Removals the obvious choice for all your budget removal needs. You need look no further.